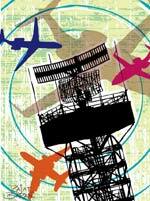 Apparatus: All airports are equipped with a rotating radar that communicates with aircraft at frequencies over 1,000 megahertz. Modus operandi: The ATC periodically interrogates aircraft. First, the aircraft has to identify itself. The ATC then determines its range by the time lag between its question and the reply and the direction in which the radar spotted the aircraft. Reading the radar: Traditionally, an aircraft's altitude and beacon code is displayed on the radarscope. Nowadays, a flight data processor, or FDP, automatically assigns beacon codes to flight plans that are instantly received by the ATC. There always seems to be a huge lag between the foundation stone laying for any project in India and work on it actually starting. Take Mumbai's first metro corridor, the Versova-Andheri-Ghatkopar, or VAG corridor. Prime Minister Manmohan Singh laid its foundation in June 2006, but construction began only in February 2008. Inevitably, the completion deadline was pushed to 2010 from 2009, and the cost rose from Rs 1,500 crore to Rs 2,356 crore. 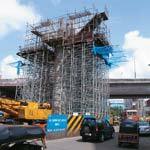 Now the Mumbai Metropolitan Region Development Authority, or MMRDA, and Mumbai Metro One, a special purpose vehicle formed by Reliance Energy, which are implementing the project through a public-private partnership, have set the new deadline for VAG completion in 2012, since so far only 70 per cent of the work has been completed. Private detectives in Chennai are stepping up their game. From running background checks on prospective brides or grooms and their families, they are now fashioning themselves as wedding planners. Since their services are trusted, they want to be one-stop shops: place matrimonial ads in dailies, screen candidates and match horoscopes as well as pick venues and caterers. They are even ready to provide surveillance during weddings to ensure 'exes' don't spoil the party.